Or Morito Rolls, if you’re Rose Prince in the Telegraph. 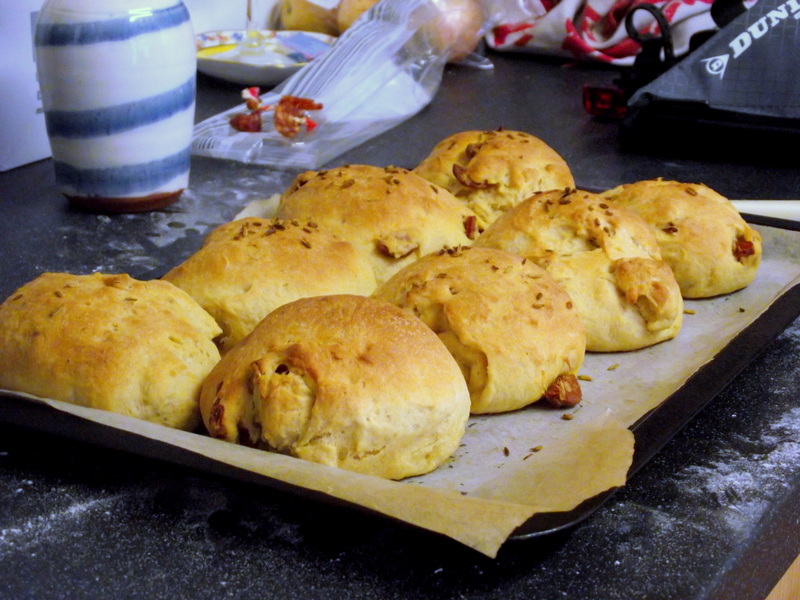 But I’m not, and neither most likely are you, so these are bread rolls with bits of chorizo and fennel seeds in them. 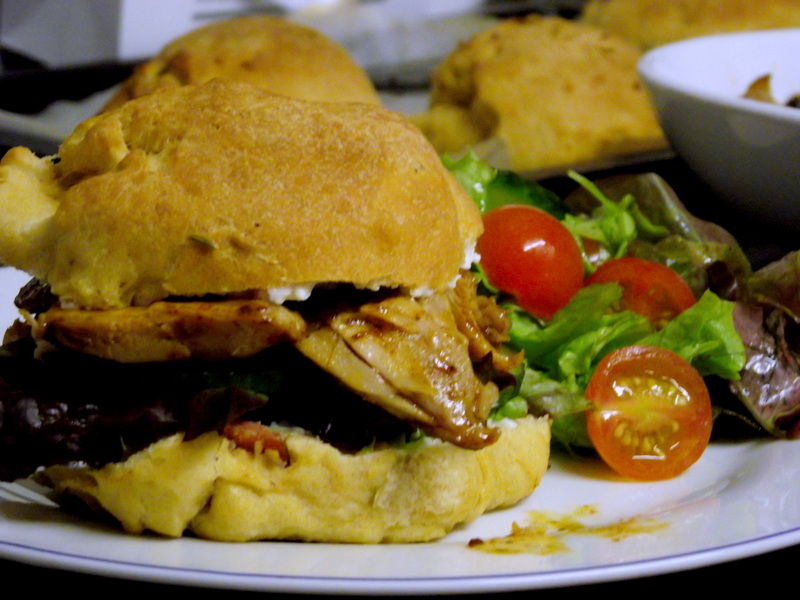 Imagine eating a sandwich and there’s already meat baked into the bread, so everything is doubly meaty and delicious. Not one for vegetarians. Having not made bread rolls before I made a few mistakes, but hopefully you can learn from them. Either way, they were delish. 1. 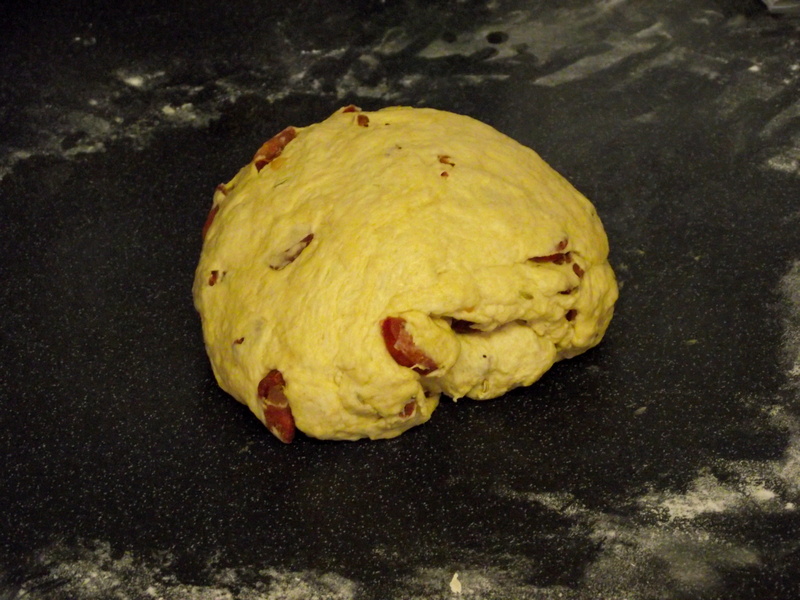 Put all the ingredients apart from the oil and chorizo in a large bowl and bring together to form a dough. Knead on a floured surface for 5 minutes, rest for 5 minutes and repeat. Benedict Cumberbatch makes this process less dull. 2. 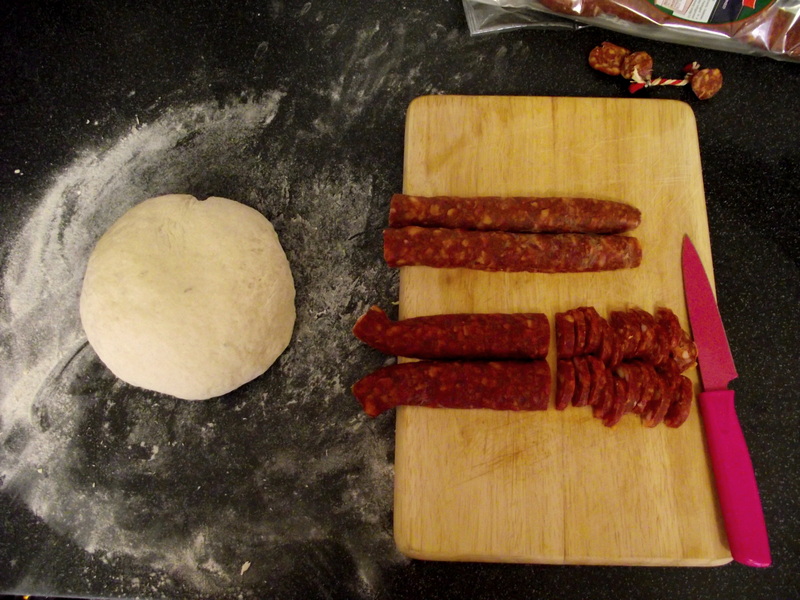 While the dough is resting, slice your chorizo. I did mine into half moons but these were definitely too big – I’d suggest quartering disks which are 2-3mm thick. 3. 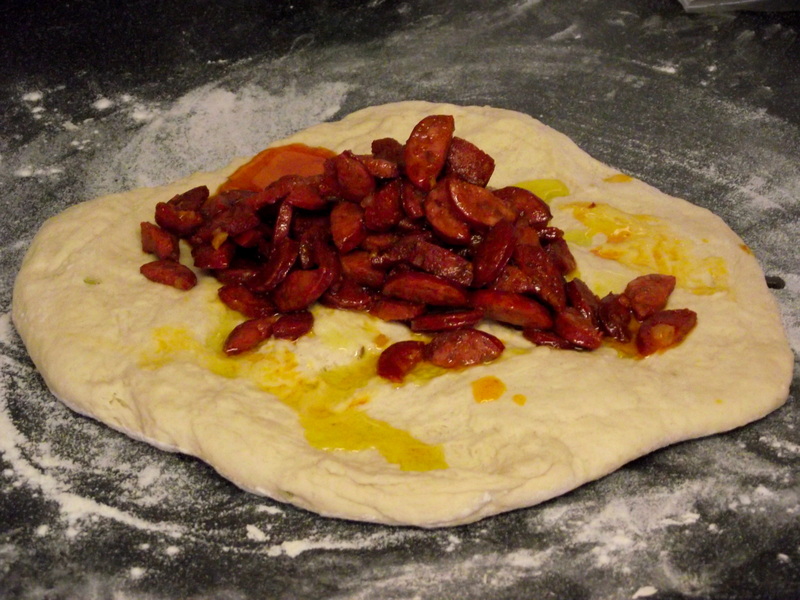 Fry these until they begin to crisp, then stretch out the dough a bit like a pizza and tip the chorizo and its oil on top. Drizzle over the olive oil and knead together for 2-3 minutes. 4. The dough will be quite sticky at this point, so put it in the fridge for 1-2 hours. 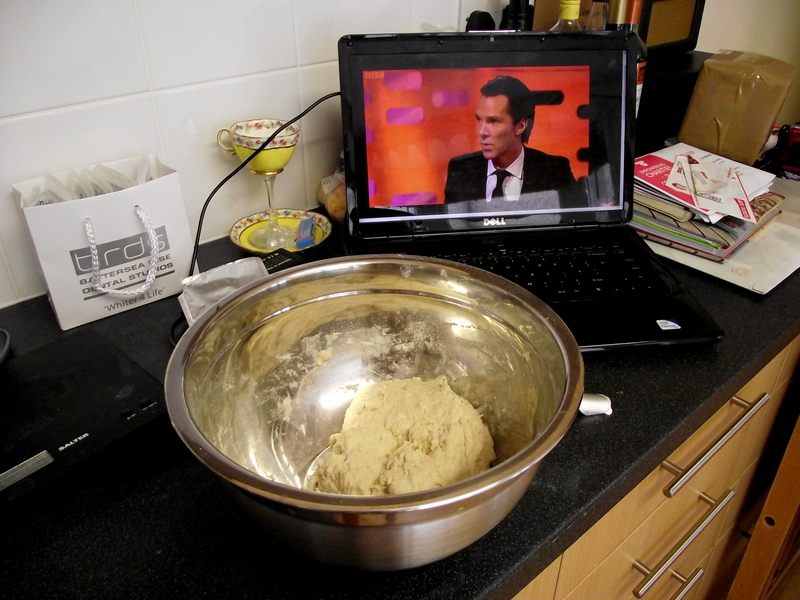 I didn’t put clingfilm over the bowl so the dough formed quite an unattractive skin – I would suggest that you do. 5. Line a baking tray with greaseproof paper and divide the dough into 10 rough balls. Arrange on the tray with spaces in between, cover with an inverted roasting tray and leave to prove for about half an hour. 6. Bake the rolls for 15-20 minutes at 200C until golden brown and hollow. I underbaked mine slightly but they were fine. Rose Prince says to eat with a salad, but I would ignore her and add to that mayo and leftover bbq meat.